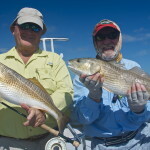 It is that time of the year when the shrimp boats are holding massive black fin and yellowfin tuna. 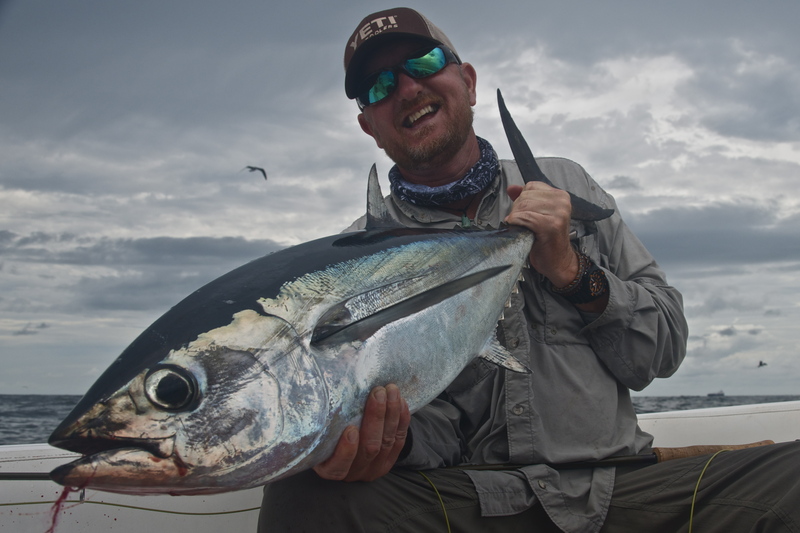 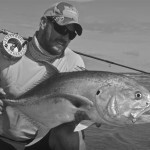 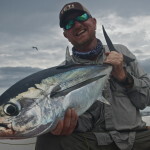 We didn’t hook a yellowfin on the fly on this day, but a 20+ lb blackfin was certainly a battle on the 12wt. 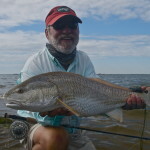 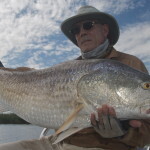 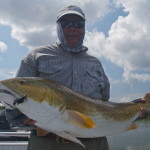 The redfish have been schooling in certain areas. 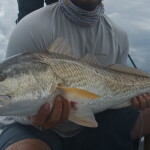 The schools mostly consist of males between 10-15lbs. 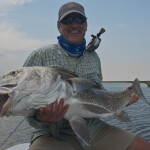 Although there are a few 30+lb females around, the smaller males usually hit the fly first. 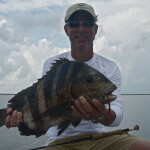 It should be any day now that the majority of the big 25+lb fish will be transitioning to the interior marsh.